If you’re a blogger or a vlogger – or if you’ve got a topic or issue you’d like other students to know about – submit your idea and your work could be published via Student News and via our social media accounts. Previous contributors have written about a range of topics, from an account of what it’s like to study abroad to a special piece on feminism for International Women’s Day. To contribute, you don’t need to have any previous writing experience and we welcome submissions from all students, no matter what subject you are studying or what level of study you are currently at. All you need is an idea that will appeal to our student audience. We’ve put together some topic ideas below to help inspire you, but this list is only a suggestion. If you have a topic you’d like to explore, we’d be keen to hear from you. 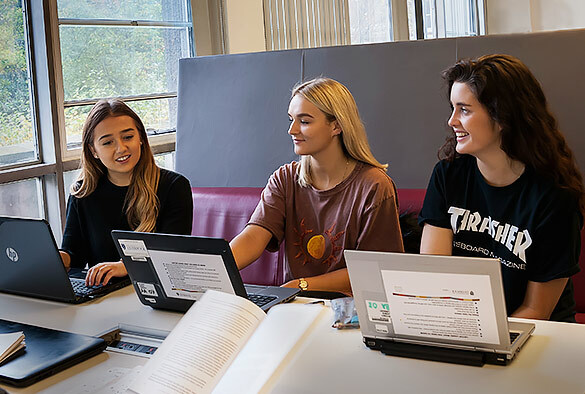 Commenting on the opportunity, Student Communications Manager Francesca McFarlane, said: “We love students’ contributions to Student News and want students to feel like this is a channel they can really utilise. To find out more and to submit your idea, complete our Submit a Student Article form. You can also contact our Student Communications Manager, Francesca McFarlane.